When motion needs to be prevented, manual stages use various locks to maintain carriage position. Each are similar and ease to engage. There are similar options for each Velmex brand. The location of the thumbscrew on the stage determines what is locked - the lead screw or the carriage. Thumbscrew-on-Lead-Screw Lock (-TL) – An easy method to fix the slider utilizing a simple thumbscrew. 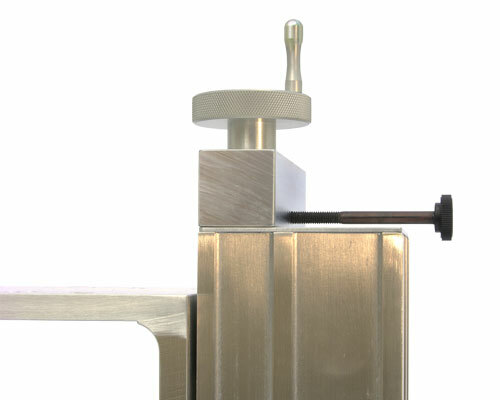 The thumbscrew lock increases the overall length of the UniSlide base. This lock type is not available on Rapid Advance models. 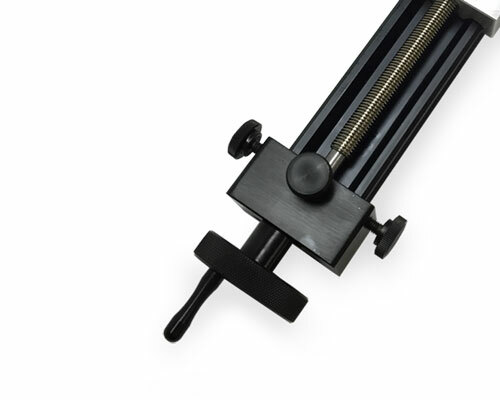 Traveling Slider Lock (-TSL) – This lock attaches to the slider to lock the carriage in place. 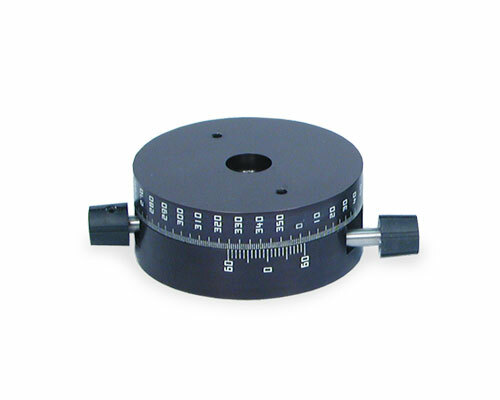 Available on Free Sliding, Screw Motion and Graduated Knob models only. 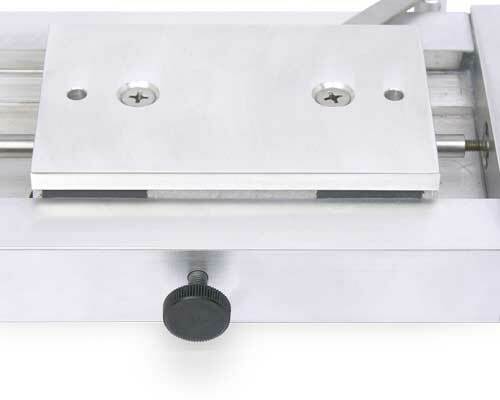 Slider Lock (-SLR or -SLL) – This lock is mounted at the mid-point on the base and is tightened to prevent slider movement. 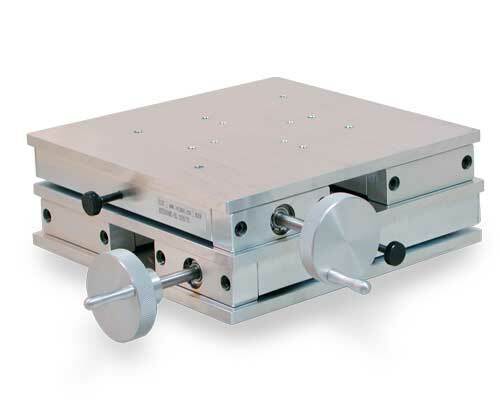 This is only available on slides where the carriage (slide) length is greater than one-half the base length. It can be mounted on the right (-SLR) or left (-SLL) of the base. Thumbscrew-on-Lead-Screw Lock (-TL) – An easy method to fix the slider utilizing a simple thumbscrew on the lead screw at the end bearing block. 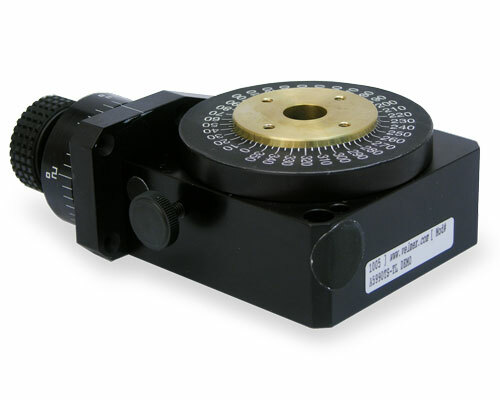 Dual Screw Lock (-DL) – Available on the A39 Series, this lock attaches on both sides to lock the dual internal sliders in place. 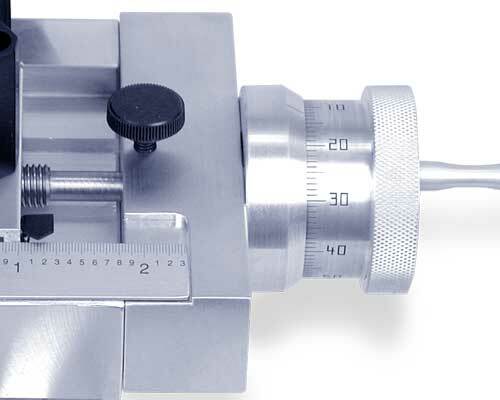 Thumbscrew-on-Lead-Screw Lock (-TL) (AXY40 and AXY60 only) – An easy method to affix the slider utilizing a simple thumbscrew on the lead screw at the end bearing block of each axis. Not available on AXY25. 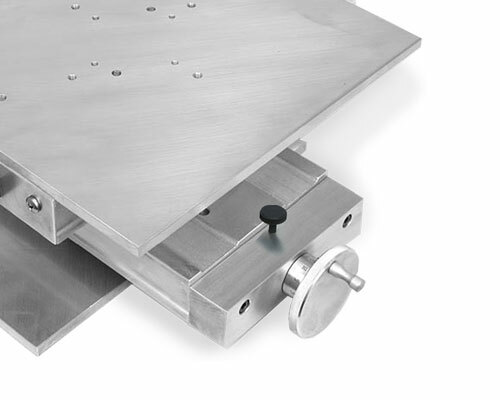 Traveling Slider Locks or the Slider Locks are not available on AXY50 and AXY60 models as the XY table makes it difficult to engage the lock. 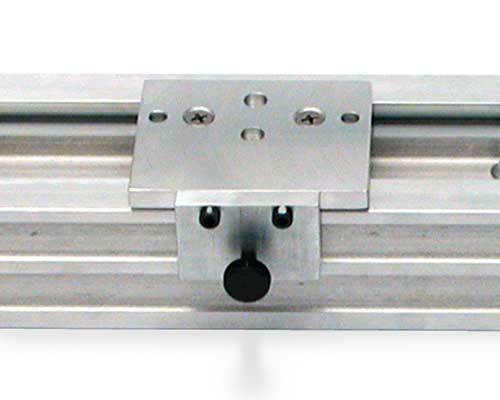 Slider Lock (-SL) (AXY25 only) – This lock is mounted at the mid-point on the base and is tightened to prevent slider movement. 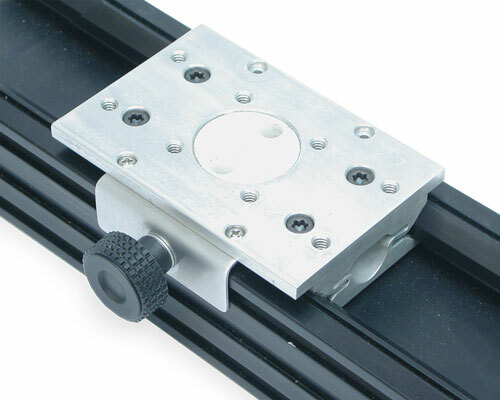 The lock is mounted on the slider/carriage on each axis. Thumb Lock (-TL) – Thumbscrew-on-Lead-Screw Lock (-TL) - An easy method to fix the slider utilizing a simple repositionable thumbscrew. 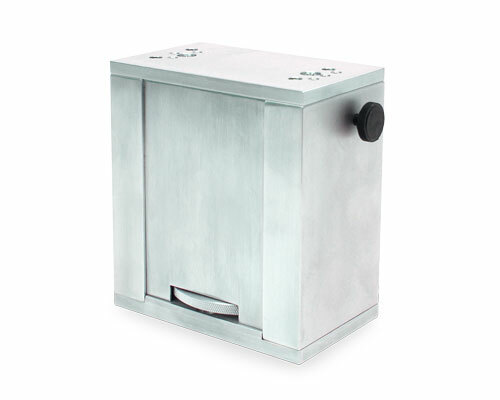 The lock can be mounted center-top, center-back, right side, or left side. (Picture illustrates 3 of the possible lock placements.) 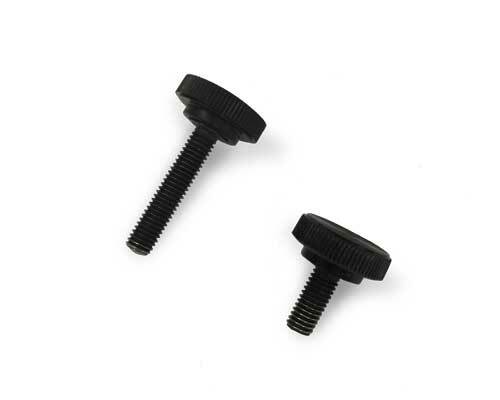 The thumbscrew lock increases the overall length of the XSlide base. 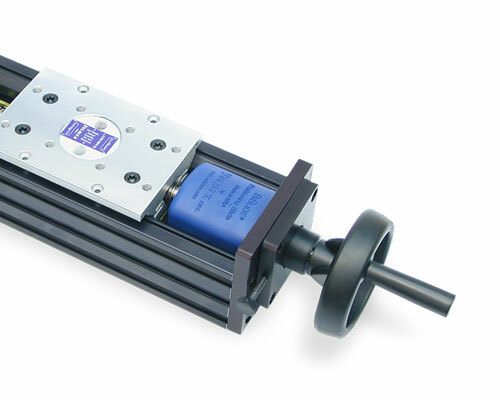 Because of the design profile of the ways, XSlide models cannot accommodate locks that affix the carriage. Thumbscrew Lock (-TL) – An easy method to lock the table utilizing a simple thumbscrew. 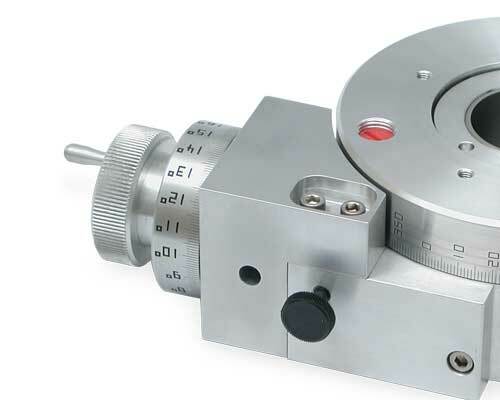 Turntable – The motion control knobs that allow free movement and fine motion also act as the locking mechanisms on Velmex Turntables.